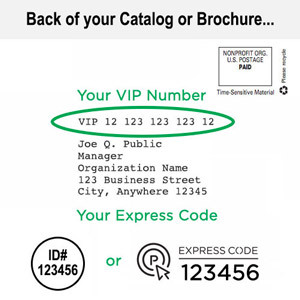 Every business should have its own "HelpDesk" - and this one is for you! You have questions, we have answers. No more researching for answers to questions, they are now available at your fingertips! 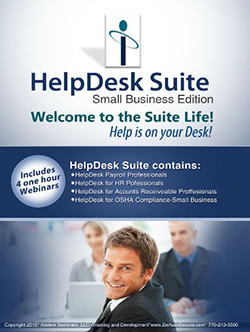 "HelpDesk Suite for Small Business" is small business training at its best and includes four time-saving software programs full of easy to understand guidance on the most time consuming compliance topics, which include 4 instructive webinars as well as self-audit checklists, sample policy manuals, HIPAA guide, FMLA guide, FLSA, I-9 guide, W-4s by state, wage and hour laws by state, Records Retention Guide, OSHA safety program guidance, garnishment laws by state, collection letters, phone scripts, audio help clips and so much more!